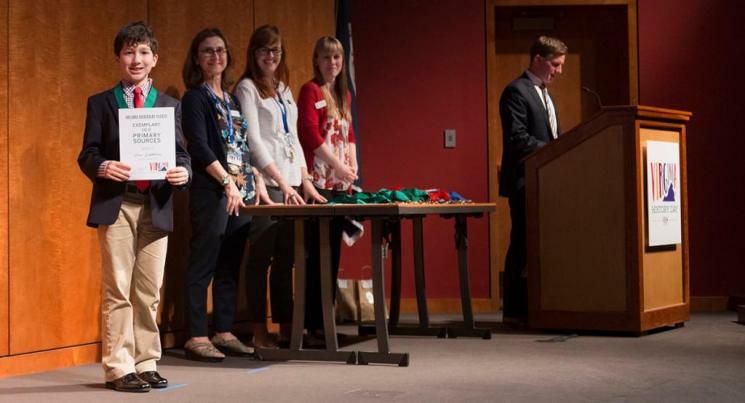 Learn about the Virginia History Day Special Awards offered in 2018! Virginia has long been recognized as the birthplace of America—the birthplace of our nation’s triumphs, achievements, tragedies, and ingenuities. From our national beginnings to the present-day, untold Virginia men and women have changed the course of history by pursuing innovation and transformation despite obstacles and setbacks. The 2019 Commemoration, American Evolution™, will honor the 400th anniversary of historical events that occurred in Virginia in 1619, which continue to influence us today. To commemorate these stories, the 2019 Commemoration proposes a “Changemakers in Virginia History” prize, which will recognize superior projects that focus on a Virginia person or group of people who have changed the course of history for the better. $100 prizes will be awarded to projects in both the Junior and Senior divisions. The George C. Marshall International Center will present an award to both a Junior and Senior Division entry that focuses on diplomacy. In honor of Secretary of State George C. Marshall (1947–1949), entries should show how effective diplomacy, at any time in history, combines selflessness and integrity with national interests, all principles for which Marshall stood. The winning entry in each division will receive $100 and a family pass to visit George C. Marshall’s historic home in Leesburg, Virginia. The Naval Order of the Unites States’ “charge” is to encourage research and writing on naval and maritime subjects, and to promote the preservation of historic artifacts and memories of our naval and maritime history. NOUS will present an award to the project that is judged to best highlight naval history in both the Junior and Senior Divisions. The Hampton Roads Commandery will sponsor a $100 prize in the Junior Division and The National Capital Commandery will award a $200 prize in the Senior Division. 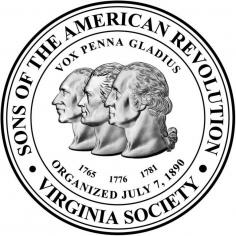 The Virginia Society of the Sons of the American Revolution (SAR) will present an award in both the Junior and Senior Divisions judged to be the best entry regarding Revolutionary War history. Each winning project will receive a $100 prize and good citizenship medals for each participant. Presented by the Washington Library at George Washington’s Mount Vernon, this $500 prize will be awarded to outstanding projects in both the Junior and Senior Divisions that demonstrate a clear understanding of the ideas and events defined by George Washington’s life, leadership, and legacy. In addition to outstanding historical interpretation, we award special consideration to projects that seek innovative and compelling ways to tell the story of George Washington so that his timeless and relevant life is accessible to the world. The National Maritime Historical Society seeks to inform all Americans, young and old alike, of the rich maritime heritage of our country and its importance, not only in the past, but most importantly to the future of the nation. NMHS will award prizes in both the Junior and Senior Divisions to projects focused on the maritime heritage of the country. First prize in both Divisions includes a $150 prize for each project as well as a one-year membership in NMHS for each participant and the mentoring teacher. Second prize in both Divisions is a one-year membership in NMHS for each participant and the mentoring teacher. Virginia’s unparalleled story resonates across time and place, connecting past, present, and future generations. The Bobby Chandler Award is sponsored by the Kip Kephart Foundation. This $500 prize will be awarded to a Senior Division project that focuses on Virginia history. Special consideration will be given to projects that connect local history to a statewide, nationwide, or worldwide topic. Virginia’s unparalleled story resonates across time and place, connecting past, present, and future generations. The Anne R. Worrell Award is a $500 prize awarded to a Junior Division project that focuses on Virginia history. Special consideration will be given to projects that connect local history to a statewide, nationwide, or worldwide topic. The Brenton S. Halsey Teaching Excellence Award will be awarded to a Virginia public or private school teacher who teaches social studies, history, or civics and participates in the Virginia History Day program. Teachers will be nominated for the $500 prize by their VHD District coordinators. The teacher receiving this award demonstrates an understanding of history and enthusiasm for the subject, fosters a spirit of inquiry and the development of critical thinking skills among students, uses and promotes innovative and creative teaching techniques and materials, and provides leadership in the field of history education. 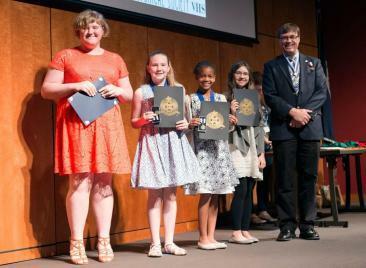 The Virginia Museum of History & Culture seeks to recognize the contributions of Virginia schools to Virginia History Day at the local, District, and State levels. Beginning in 2018, the Virginia Museum of History & Culture will award a trophy and recognize the school with the greatest participation in the season-long competition. K-6 elementary schools will receive points based on the number of 6th graders participating, whereas a 6-8 middle school will be based on the total number of students. Every school that participates in VHD will receive at least 10 points. School-level participation will be reported by a teacher or administrator to the VHD Coordinator or the District coordinator. We hope to encourage all social studies and civics classes to participate in the program, whether or not they go on to compete at the District level. This level of points will reward the quality of projects coming from a school, and not just the quantity of participants. The weight of these points is to not significantly penalize eligible students that cannot attend the state competition.